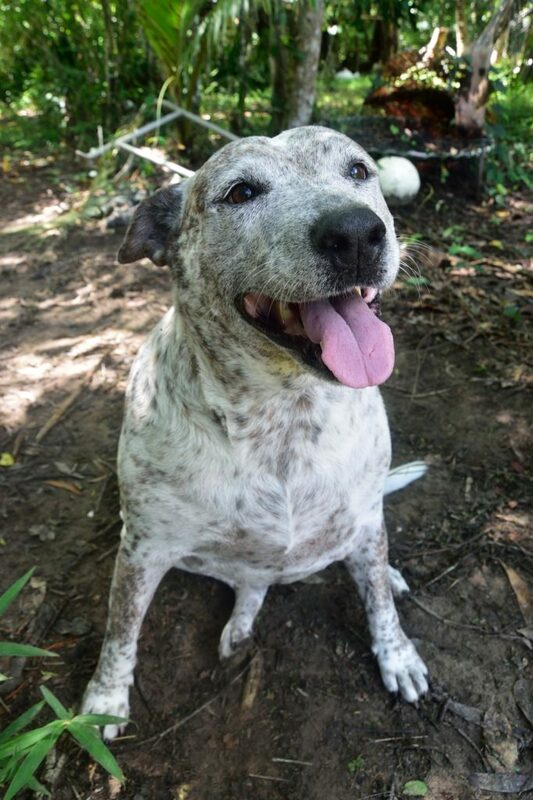 DEGARRA fisherman Billy Dunn has never seen his cattle dog Maggie any cleaner. 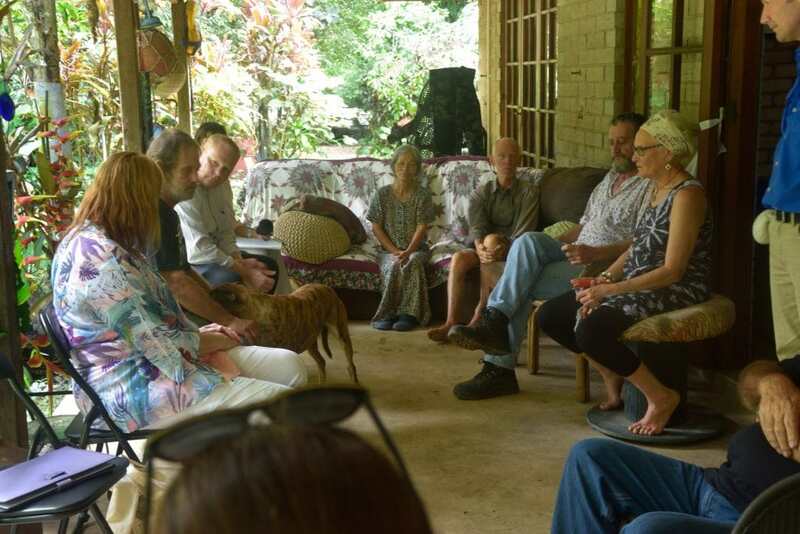 The 10-year-old hound spent about 48 hours paddling in the Bloomfield River after she was washed away in floodwaters during the Australia Day monsoon. 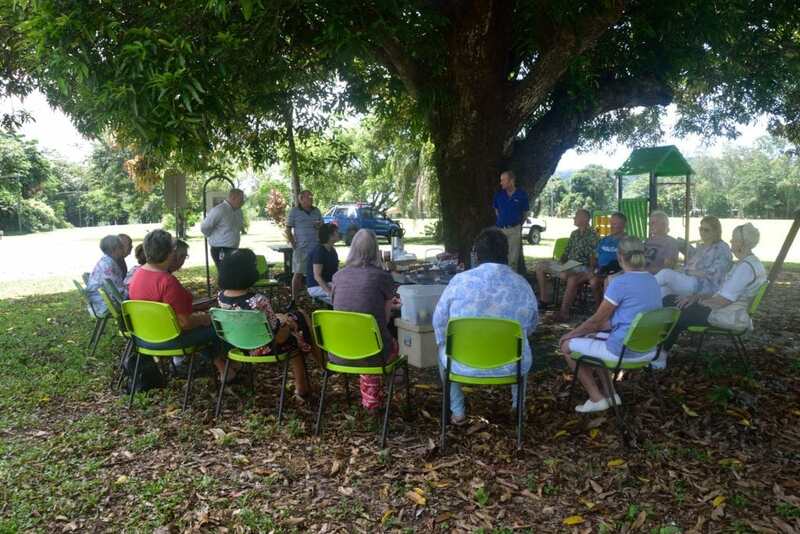 Douglas Shire Council Mayor Julia Leu and Council staff heard many stories of the flood affected community during a catch-up with residents on the Dunn’s veranda last week. Maggie’s story of resilience is a mark of the floods, but it was her actions on January 26 that has earned her the recognition of ‘Maggie the Wonder Dog’. Billy and his wife Michelle have lived in Degarra, located at the northern end of the Bloomfield Track near Wujal Wujal, for about 40 years. “It was about midnight – she just jumped on the bed and was a bit wet,” Mr Dunn said. “My wife yelled out at the dog, then got out of bed and there was about six inches of water in the bedroom. 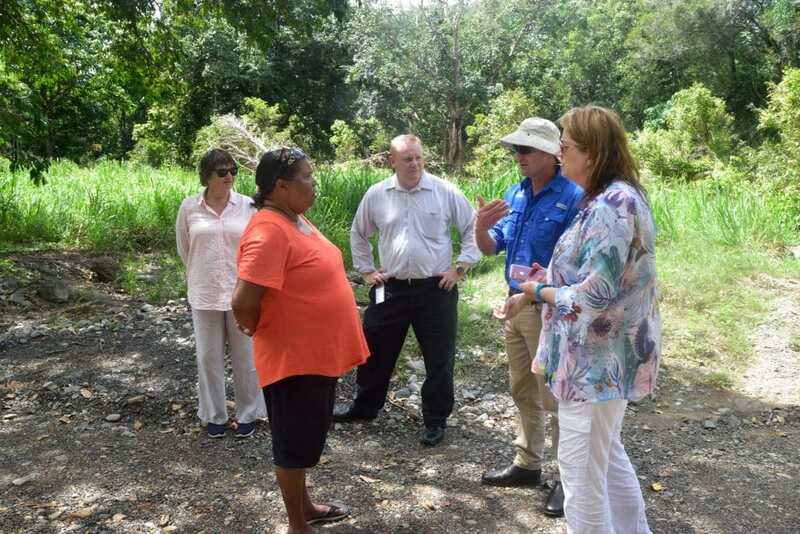 At the time, Billy was working in Cooktown and his wife was home alone with Maggie. Their house was one of the eight flooded in the small suburb, which has a population of 30 residents. 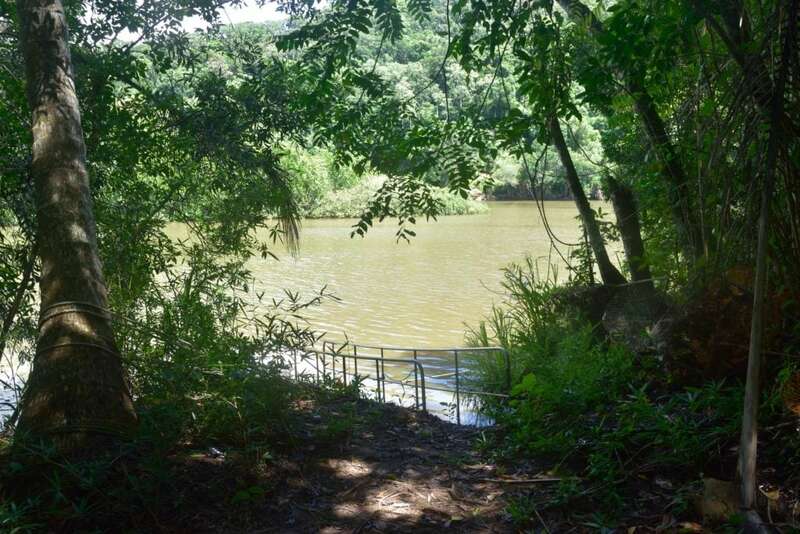 The Dunns believe Maggie, tirelessly paddling back up the Bloomfield River, spotted a light from a house on a nearby hill and headed straight to it. Mr Dunn believes her tale of survival could be her biggest achievement. “We had given up,” Mr Dunn said. “Maggie somehow got back through the bloody jungle … it took her about two days to swim back with the tides going out and coming back in. “Right on cue, our house was flooded and our dog was done – it was the last straw. But when we got our dog back, it was time for us get back on the road to recovery. 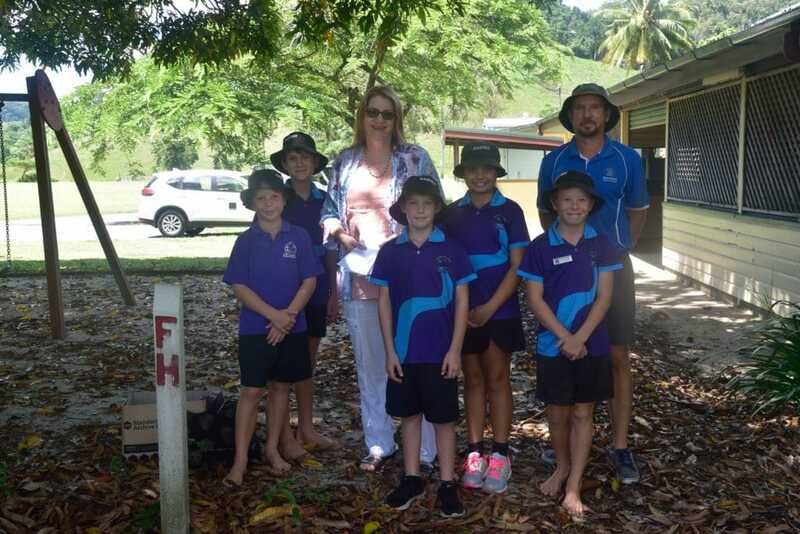 Council staff and Mayor Leu also visited Daintree Village, where they spoke to residents under a mango tree near the Daintree Hall. “Maggie is definitely the hero of Degarra,” Mayor Leu said. “That event was the third disaster activation for our shire in six weeks and the impact on our residents and businesses has not been lost.